The Universität Augsburg (UAU) and IITA have signed a cooperation agreement to foster partnership for the development and implementation of collaborative programs. 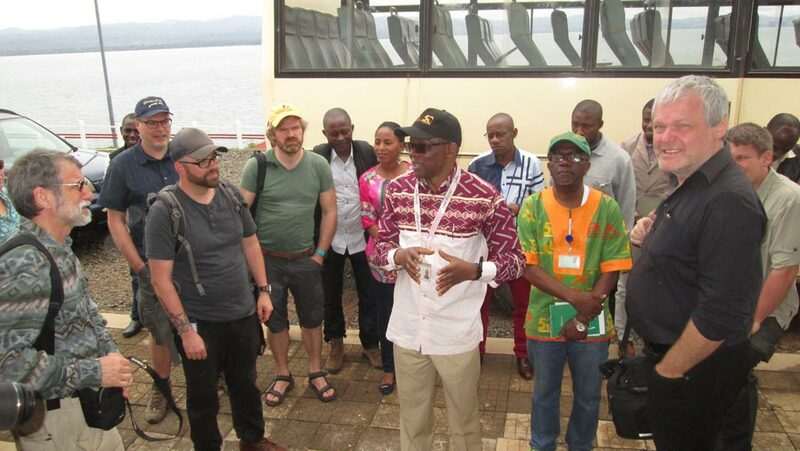 Under the framework of the agreement, Dr Sebastian Dötterl of UAU led a delegation of 25 soil scientists from Belgium, Germany, Sweden, USA, Uganda, and DRC on a familiarization visit to IITA Kalambo Station on 5 March. The visit was part of the TROPSOC project launching program in Bukavu. TROPSOC is a research group with funding from German Research Foundation with an interest in tropical soil organic carbon dynamics along erosional disturbance gradients in relation to soil geochemistry and land use. Welcoming the visitors, the Officer in Charge of IITA-Kalambo, Chris Okafor presented an overview of IITA’s global structure and activities in sub-Saharan Africa with an emphasis on DRC. In his welcome remarks, IITA Central Africa Hub Director Bernard Vanlauwe informed the visitors that IITA’s doors are open for collaboration with advanced institutions in Europe and USA to achieve transformation of agriculture in Africa through its research for development (R4D) and partnerships for delivery (P4D) activities. He expressed confidence in the ability of IITA to engage and nurture strong partnerships. According to him, Isaac Balume, a PhD student, enrolled in the University of Hohenheim in Germany is a good example of such partnerships. The delegates were taken on a guided tour of the laboratory and the youth agripreneurs’ processing facilities. The IITA Kalambo Youth Agripreneurs (IKYA) treated them to delicacies made from cassava and soybean. 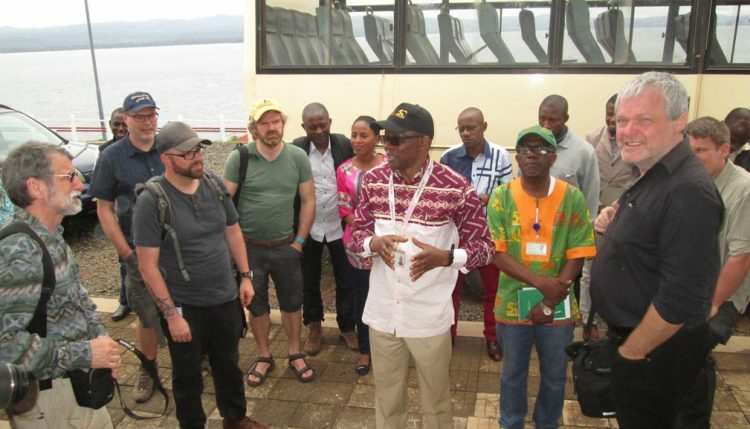 Dr Dötterl expressed his appreciation of the work environment, the facilities, and the passion of the staff and invited his colleagues to explore opportunities for collaboration with IITA. “I urge you, if you want to support research, the opportunity is here at Kalambo campus. It is a unique opportunity for us to set up a framework for soil science research because IITA is the best option for this network. We thank IITA managers for this interesting visit,” he said. The delegates also visited the Center for Agribusiness and Agro-Services (CAAS) established by the Crop-Livestock Integrated Project (CLiP) in Katana. The visitors visited the various enterprises including piggery, poultry, cassava processing, agro-vet network, mushroom production facility, and marketing outlet. They were taken through how ICT is being used to support market linkages, facilitate the provision of veterinary services, and promote learning among farmers. They were excited about the enterprises and the activities at the CAAS. The visit was appreciated by both farmers and the visitors. The latter suggested that such initiatives should be expanded to include other unemployed youth and women to improve their well-being.